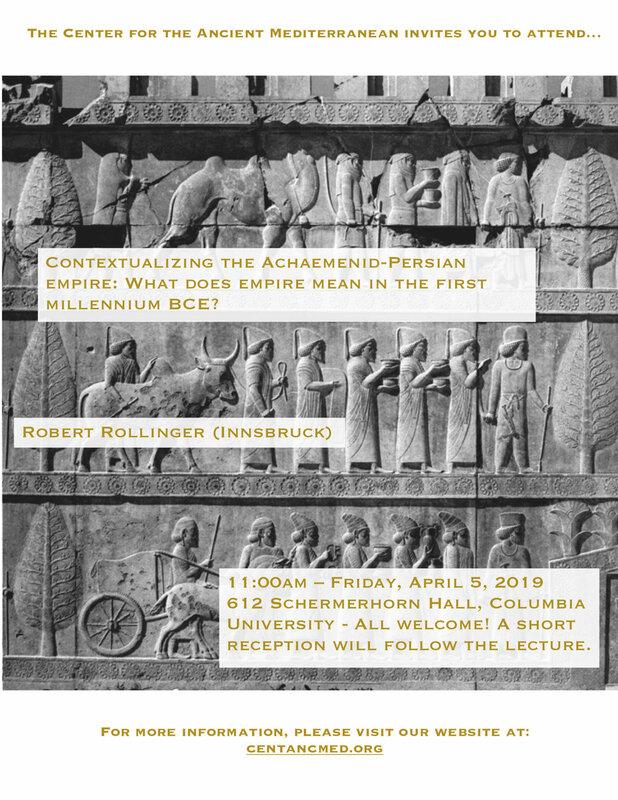 Lecture Title: Contextualizing the Achaemenid-Persian empire: What does empire mean in the first millennium BCE? Looking at Handbooks dealing with the history of the Ancient Near East, there appears to be a general agreement on structuring the outline of political history of the first millennium BCE. The epoch is conceptualized as a succession of three clearly defined empires. The first one, the Neo Assyrian empire is regarded to represent a turning point in history by establishing imperial structures connected with the claim to rule the world. It is succeeded by the Neo-Babylonian empire and the Persian empire that, on the one hand, following the already introduced imperial trajectory but, on the other hand, shape their individual and distinctive conceptions of empire and state. With the conquests of Alexander the Great a major break is generally considered to have taken place. Ancient Near Eastern empires have come to an end and a fresh, this times western empire emerges introducing a new era. In my talk I want to challenge this view by contemplating 1.) on what Empire means in the first millennium BCE and 2.) which role the fringes of empire play in a dynamic process of interconnected regions and zones to which not only the “east” belonged.